I wonder if I could get RX lens' for these bad boys?!?! I know this style isn't the newest - many-a-famous blogger has been seen wearing them, but man they sure are fun!!!! Add them to my Castle Dreams-Track House fund List ;) I kid, well not really - I'm sure with RX lens these babies would have surpassed MY+YOUR+SomeMore$ sunglasses budgets! But this girl can sure dream!!!! Do you have any dreamy sunglasses you love? I looove. These are so chic! I'm desperate for a great pair of Ray-Bans. I usually get my sunglasses for five dollars at Kensington Market but it can't be denied - these are awesome! 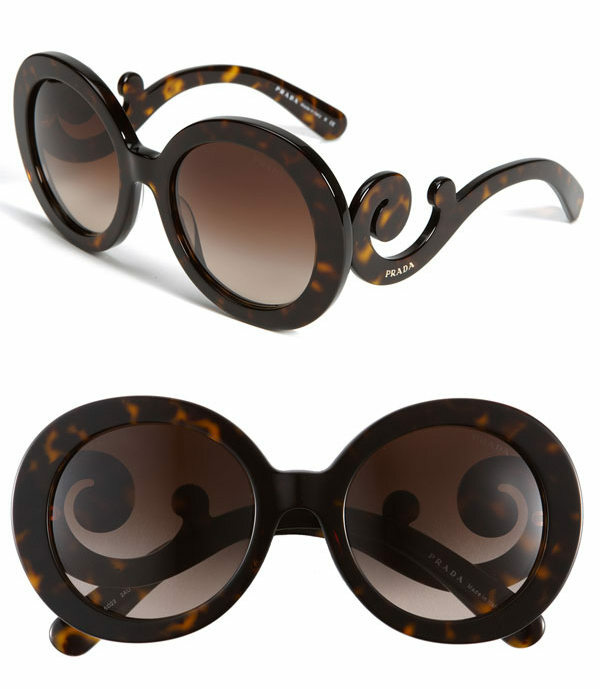 I have some grey Tory Burch rounded cat eyes on my wish list right now! These glasses are a total dream! Immediate style when worn! Amazing... I need these in my life! These are amazing. I'm so bad with sunglasses though, I just can't spend money on nice fancy ones. I lose them, sit on them, drop them everywhere. It's bad news bears up in here when it comes to sunglasses. Have to agree. Totally love this unique sunglasses. I want one now! I agree- these are so fun! I love these bad boys! They are so unique and fun!